Please note: Depending on type of work i.e. repair or replacement, as well as materials used, VERITAS offers 3, 5 & 10 year workmanship warranties. These are IN ADDITION to warranties offered by manufacturers and are given at NO EXTRA COST to you! 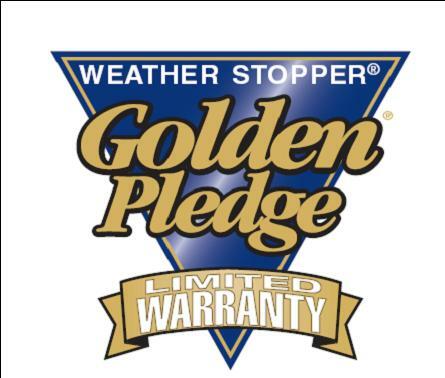 As a certified GAF Master Elite Installer, Veritas is able to offer the Gold Standard in Manufacturer Warranties, the Weather Stopper Golden Pledge Warranty exclusively from GAF.